Right now the rain is selfishly pouring down outside, entirely unconcerned by our plans for an early September BBQ. But, on the plus side, there’s also a cosy feeling in the air and the strange excitement I get at the end of every summer; imagining a bright and crisp autumn with windy walks, evenings by the fire and dressing in warm yet stylish apparel. I’m now blogging for BabyCentre – my first piece is on the Etiquette of Dining Out when you are a toddler – some great tips in the link for always ensuring a hectic, stressful and wine-spilling experience when visiting an eating establishment. You’re welcome. I was also across the pond with Mamalode in August, writing about Secondary Infertility and Loss, trying to explore the positive side to the hand fate can deal, and reminding mainly myself and also others that where there is love, there is room for optimism. I’m really pleased by the response to it and hope it continues to – in its own small way – help others who might be struggling. And clearly it pays to stalk, as Scary Mommy have published three recent ramblings, the most popular (with over 90k shares!) and possibly my favourite of everything I’ve written being I Will Carry You, a nod to my growing child, who of course as we all know, will always remain a little baby to us parents. The others can also be found here – For Women Struggling with Infertility and Loss and Motherhood is Crossing Your Fingers. I am of course still keeping Big Trouble in Little Nappies ticking over, and have some funny posts in the pipeline detailing the idiocies of trying to be a parent when you have no idea what you’re doing. There are also some great guest articles lined up over the next three months which I am really looking forward to sharing – talent and entertainment central, baby! So adios fair summer, hello colder nights, and thanks all for checking in and catching up. Oh, and remember – on the plus side – bed times are going to be so much easier with the darker evenings… until the clocks go back of course – Damn. Blast. %£*#. 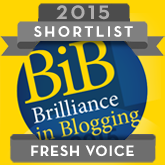 Thanks so much – small unsteady steps but we keep on plodding hey! This is so awesome! Congrats on all the shares and publishings! Great job!